KATHMANDU, Sept 11: Prime Minister Sher Bahadur Deuba is set to induct four new faces in the Council of Ministers on Monday, making his Cabinet the largest ever in Nepal’s history. With the inclusion of three ministers from Rastriya Prajatantra Party (Democratic) as part of the fifth expansion of the Cabinet, the number of ministers is set to reach 54. 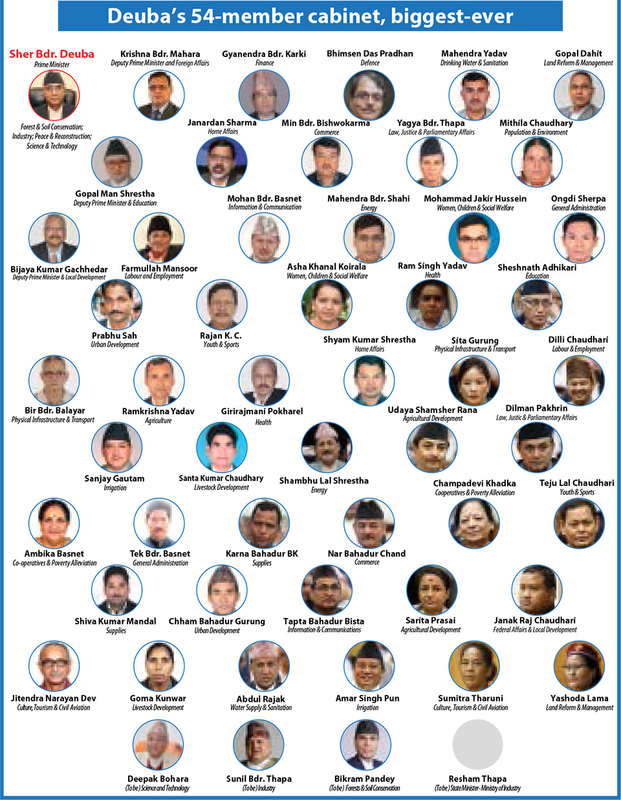 Those set to be inducted as ministers include RPP (D) Parliamentary Party leader Deepak Bohara (Science and Technology), deputy leader Bikram Pandey (Forest and Soil Conservation), Sunil Bahadur Thapa (Supplies) and Resham Lama (State Minister for Industry). According to the prime minister’s senior media expert, Gobinda Pariyar, the new ministers are scheduled to take the oath of office and secrecy at 11 am, Monday. “The ministries earlier set aside for the RPP has now been allocated for the RPP (D),” he said. RPP (D) is sending its ministers under the leadership of Deepak Bohara, who is allegedly involved in the multi-million rupees corruption scam involving the Nepal Oil Corporation (NOC) land procurement deal. It has been revealed that the NOC paid at least thrice the market price to procure land plots to build fuel storage facilities in various parts of the country. The controversial land buy took place when Bohara was the supplies minister in the Pushpa Kamal Dahal-led government. With the latest inclusion in the Cabinet, the Deuba-led government will have three deputy prime ministers, 27 ministers and 24 state ministers. Although the constitution has a provision not to exceed 25 ministers in the cabinet, each successive government after the promulgation of the new constitution in September 2015 has been violating the provision. They argue that the provision is meant to be effective only after the federal parliament is in place. Experts said that no matter under what pretext a jumbo cabinet is formed, it is violation of the constitutional provision. “Our constitution has already set a standard on the number of ministers. It is the violation of the constitution to form a cabinet with more than 25 ministers,” said constitutional expert Bipin Adhikari. 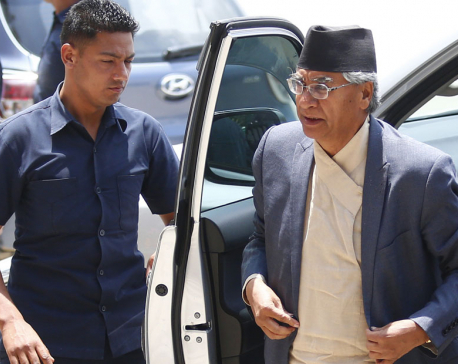 Prime Minister Deuba had courted controversy for forming the largest-ever cabinet in his second stint as the prime minister back in 1996. While KP Oli had formed a 40-member cabinet, his successor Pushpa Kamal Dahal had formed a 41-member cabinet, flouting the constitutional provision.